In an earlier post, I moaned about how though Vonage was a great service, it just didn’t fit our needs due to several significant shortcomings. Well times change, and so have my views about Vonage. We recently got a faster, more reliable Internet connection through Charter Cable, and decided to give Vonage another try. So far, after a few months, the results are excellent, and we haven’t looked back. 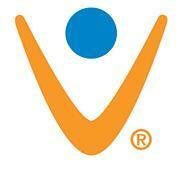 The shortcomings Vonage had are now gone. We were able to port our landline number, the audio clarity is much better, and it has been very stable and reliable. And comparing features and cost, it simply blows the doors off of anything AT&T could offer. We have barely scratched the surface of the features, but it provides everything we need in landline service, and gives me lots of goodies to play with. One feature that we love is the “transcription” capability of the Vonage voice mail. When someone leaves a voice message, we get a text and an email of the transcription of their message. It’s not always clear (and often pathetically mangled) but it does get the point across. With a solid Internet connection and at about $14.00 per month, Vonage has proven to be a stellar service providing solid, reliable, feature-rich, and inexpensive landline phone solution. As one who has yet to embrace the cell phone completely, and continues to hold onto a landline, for features and cost savings, I highly recommend Vonage.